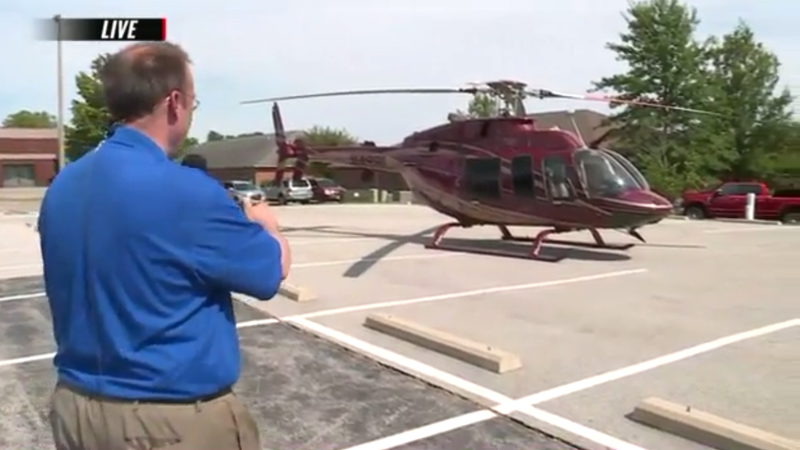 Former CEO of Anheuser-Busch August Adolphus Busch IV was arrested earlier today after attempting to take off in a helicopter from a public parking lot in Swansea, Illinois and failing a field sobriety test. I wonder what cheat code he used to spawn that in? A caller told Swansea police that Busch was returning to the helicopter at around 8:15 p.m. and appeared to be too intoxicated to take off. 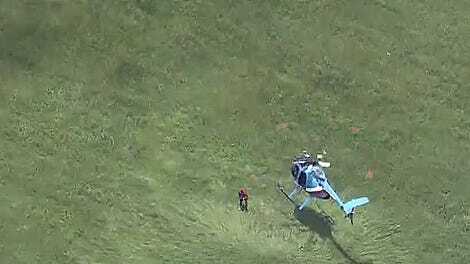 The helicopter’s rotors and were spinning and the engine was revving up when police arrived on the scene. The officer turned on the emergency lights on the squad car and the pilot powered down the engine. A second Swansea Police vehicle arrived on the scene. After a conversation officers administered a Standardized Field Sobriety Test. Busch appeared unable to keep a single train of thought.His speech appeared mumbled and slurred. But he blew a .000 on a breathalyzer test. Police believed Busch may have been under the influence of a controlled substance, according to court records, and multiple various prescription drugs were found in his pockets and in the cabin of the helicopter, with some prescribed to his wife. ﻿Busch told officers that he had a conceal carry license and had a Rohrbaugh R9 9mm in the front pocket of his pants. He told them that the weapon was, “hot.” The removed the gun from his pocket. Police also found Dexamethasone in his pocket. The prescription was for August’s wife. At that point, Busch told officers that he was about to have a panic attack. He began jumping and running sprints saying that he needed more oxygen to deal with the attack. A search of the helicopter turned up several weapons. Police discovered a loaded Ruger LCR 22 LR revolver, a Ruger SP101 .357 Magnum revolver with four live rounds, and a loaded Glock Austria .357 with one round in the chamber. Investigators also found several bottles of prescription drugs; Letrozole prescribed for his wife and Alprazoiam, Clonazepam prescribed for Busch. A large bag of prescription drugs that his wife said were to assist with fertility was also found. Busch was arrested and taken to a hospital for further drug testing, and was released from custody around noon on Tuesday. No charges have been filed against him yet, but the police have turned the case over to the FAA. Most of the prescription drugs he was found with helped with inflammation, anxiety, or cancer treatment, but it will remain unclear if Busch was actually under the influence of any substances until the results of the blood and urine samples are made available. Either way, who leaves a helicopter full of loaded weapons in the middle of an office park parking lot? What are the odds this guy is obsessed with Grand Theft Auto?